The bitterness of the debate in the United States in relation to Iran has again raised questions concerning civil discourse when contentious and emotional issues arise. Israeli politicians are renowned for resorting to hyperbole and even outright abuse. One need only observe the behavior in Knesset debates with individual MKs verbally assailing one another like animals. In contrast, Americans conduct their congressional proceedings with greater decorum and civility. However, U.S. President Barack Obama unleashed unprecedented anger in his own country by his obsessive determination to enshrine his legacy by consummating a deal empowering the Iranian terrorists, irrespective of the cost. This, despite the fact that even in the midst of the negotiations, Ayatollah Ali Khamenei endorsed calls of “death to America” and adamantly reiterated that the destruction of Israel would remain a primary objective of Iran. Obama effectively agreed to transform Iran into a threshold nuclear power and released billions of dollars of frozen funds, much of which the Iranians proudly boast will be directed toward bolstering their terrorist surrogates. If that wasn’t sufficient, the administration also agreed to trust the duplicitous Iranians to supervise their own compliance. Last week, a new Quinnipiac University poll indicated that 58% of Americans oppose the Iran nuclear deal, with only 28% supporting it. Clear majorities in the Senate and House of Representatives also oppose the deal in its current form. If, as expected, Congress votes to reject the deal, Obama will veto that decision. Further, the president has gone to unprecedented lengths, bordering on hysteria, to prevent a bipartisan effort to overturn his veto, and made support for his Iranian policy a litmus test of loyalty to the Democratic Party. 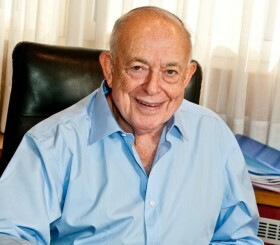 He also made disparaging remarks about the American Israel Public Affairs Committee — describing it as a powerful lobby employing vast funds to promote warmongering — which were considered by many to be a throwback to the outdated and discredited traditional anti-Semitic slur implying that Jews were disloyal citizens. Jewish leaders were also accused of being hijacked by Likud and neoconservatives. More out of self-interest than conviction, the majority of Democratic legislators — including most Jewish members — finally succumbed unenthusiastically to presidential pressure and supported the deal, rupturing the hitherto bipartisan approach toward Iran and stymying the two-thirds majority required to override a presidential veto. Senator Chuck Schumer, one of the few Jewish Democrats who opposed the deal, was accused of harboring dual loyalties and betraying his country. 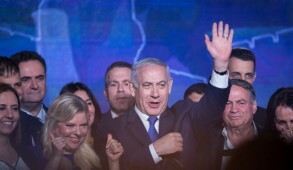 Supporters of Israel unleashed their rage and fury on Jewish Democratic legislators endorsing the deal, especially those with substantial Jewish constituencies. This was exemplified by a wave of vitriol directed against Democratic Congressman Jerrold Nadler, who represents one of the largest constituencies of religious and committed Jews including Borough Park. In response to his announcement that after painfully reviewing the issue he would back Obama, he was accused of being a coward, of betraying and abandoning his people, and of being a traitor to Israel and the U.S. He was assailed with obscenities, was called a “Nazi” and a “stinking kapo,” and allegedly received death threats. These primitive outbursts, aside from their vulgarity and repudiation of any modicum of civility, were utterly counterproductive. They diverted the debate away from a condemnation of Obama’s Iran deal to the liberal media’s condemnation of ad hominem attacks against Nadler. Jewish organizations such as the Anti-Defamation League, which opposes Obama’s Iran deal, issued press releases condemning the “appalling” lack of civility and upholding Nadler’s pro-Israel record. There were intensified pressures on critics of Obama to cool it and ease protests and demonstrations. 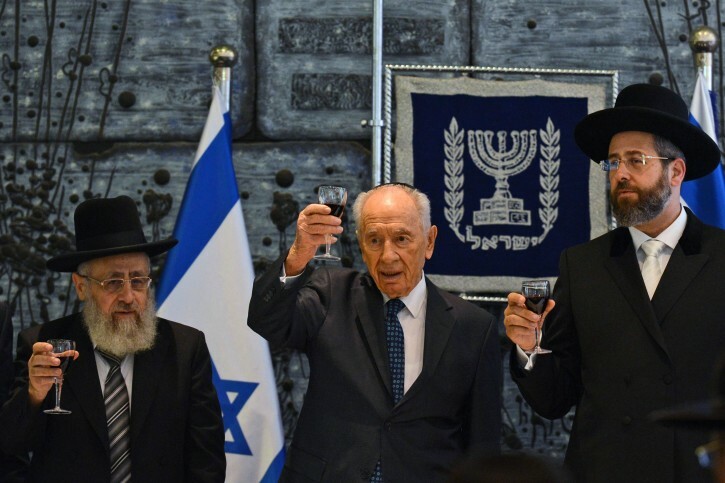 The media was replete with articles alleging that the Jewish community was now divided and many were fed up with the right-wing Israeli government. But this was nonsense, because despite some initial doubts, the reality was that no issue has united American Jews to such an extent since the Yom Kippur War. As details emerged amplifying Obama’s craven capitulation to Iranian demands, every major Jewish political organization, including the Conference of Presidents of Major American Jewish Organizations, the American Jewish Committee, and the ADL publicly backed AIPAC’s initial lead of opposing the deal. Even the Reform movement leadership, noted for its traditional slavish support for Obama’s policies, remained silent. The only exception was the so called “pro-Israel-pro Peace” J Street, which intensively canvassed on behalf of the administration and applauded Obama’s “victory,” again demonstrating its inherently anti-Israel stance. There are of course some Jews so totally involved with the Democratic Party that liberalism has become part of their DNA, and many even confuse or substitute it for their Jewish heritage. 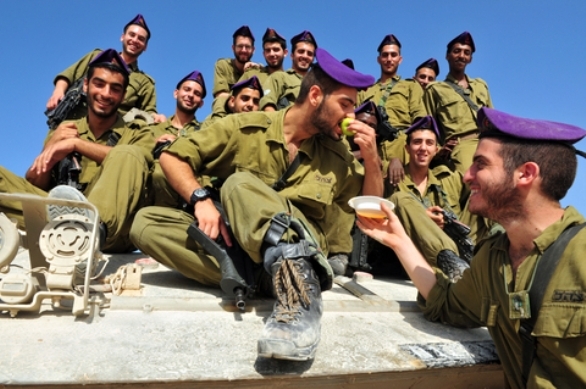 There are others who are Jews in name only, utterly assimilated, with no understanding of Judaism or any genuine feeling for Israel. 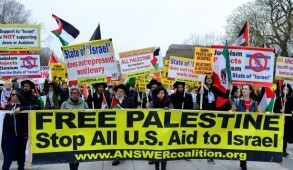 But the fact is that the overwhelming majority of committed Jews are bitterly opposed to Obama’s tryst with the ayatollahs, with many complaining that their leaders should have protested earlier and more vigorously. The harsh critics of Nadler were immediately accused — unfairly — for having unleashed the torrents of offensive personal abuse and castigated for challenging his devotion to the Jewish state. Of course those who uttered death threats and vulgarities like calling Nadler a kapo or likening him to a Nazi were irresponsible and should be chastised. But challenging Nadler’s commitment to Israel was entirely justified. 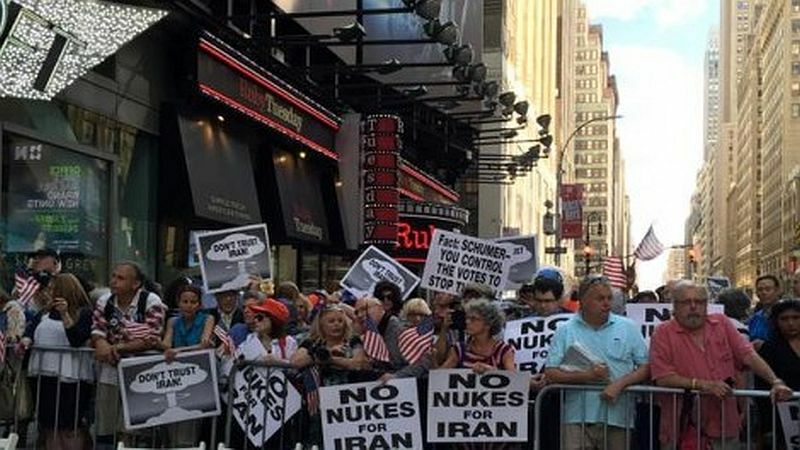 The majority of Americans and committed Jews are totally opposed to the Iran deal. More importantly, over 90% of Israelis consider seriously Iran’s ongoing threats to wipe them off the map and bitterly oppose Obama’s policy. Even if understandable because of political realities, it remains disappointing that the majority of Democratic legislators conceded to pressure from their president. That applies especially to Jewish legislators who gave their political standing in Obama’s Democratic Party priority over responding to the existential threat to Israel which this deal poses. Nadler falls into a special category. He represents a constituency largely comprising Jews, the majority of whom are passionate about Israel, and is aware that opposition to this policy has a rare bipartisan consensus in Israel. 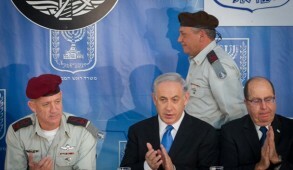 He insists that he analyzed the situation objectively and claims he is acting in the best interests of Israel. Many would challenge his sincerity. But setting aside his motivations, what does a Jewish representative of a major Jewish constituency expect when the bulk of his constituents are bitterly opposed to a deal that they consider threatening and he adopts a stand based on his belief that he has a better understanding of Israel’s security requirements than 90% of its citizens? His Jewish constituents are entitled to feel betrayed and justified in conveying their anger. His former pro-Israel approach does not exonerate his behavior, which will undoubtedly be taken into account by voters in the next election. If Nadler feels that this is unjustified, he simply fails to appreciate the gravity of his act. This issue is not a minor political squabble. It relates to a Jewish legislator with a largely pro-Israel Jewish constituency which considers that he betrayed them during a crisis. Pro-Israel elements should continue campaigning against this wretched deal despite Obama’s success in intimidating sufficient Democratic legislators to prevent voiding his veto. 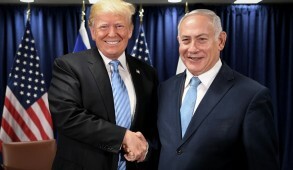 This will create the climate for Obama’s successor to review the situation and send a message to future administrations that there are strong Jewish and pro-Israel forces that are willing to stand up and resist efforts to undermine Israel and the U.S. – Israel relationship. But they must do so with civility and courtesy, avoiding vulgarity and abuse.